Italian bathroom manufacturer Valdama has introduced Cameo, a collection of washbasins, to its portfolio. Named after the process of extracting relief shapes from material, Cameo washbasins features fine contours. The single bowl washbasins span 280 x 600mm up to 1200 x 500mm, with central or asymmetrical bowl positioning depending on model. In addition, the basins are available with or without a deck for mounting taps. 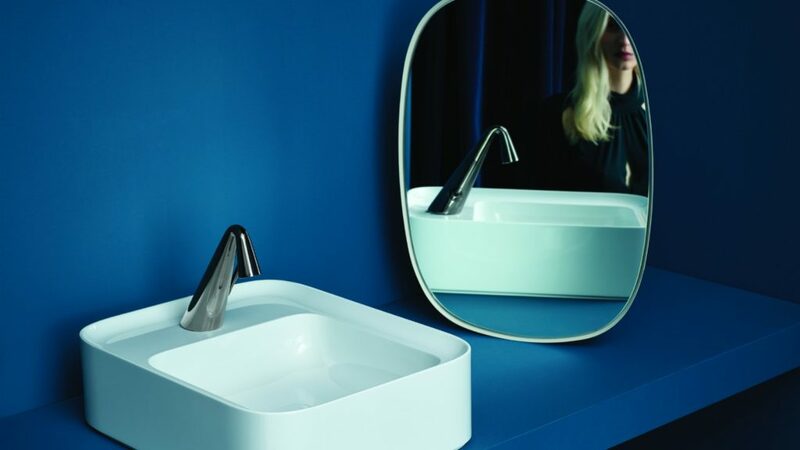 Valdama Cameo washbasins are designed to be wall or console-mounted, but there is also a standalone version which is placed on a tubular metal structure. Read about this year’s trends for bathrooms.